Communication is the act of transferring messages and information. 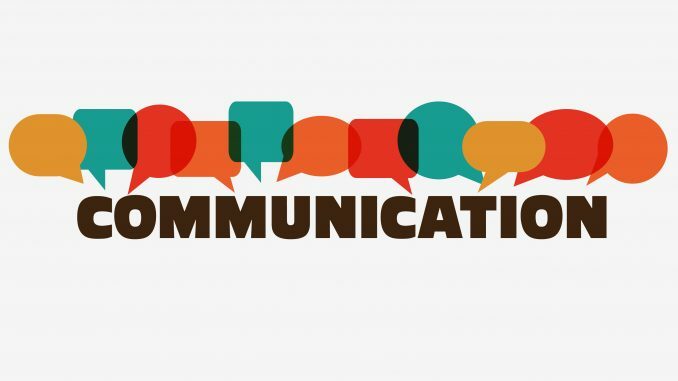 In general, communication is a means of connecting human lives, cultures and places. Nevertheless, human communication is exclusive for its use of language. Thanks to this system of words, people can express their ideas to each other, generating a face-to-face communication act. People who generate a face-to-face communication act belong to a big social network. In this context, society has a background function. With words, people are doing a verbal communication (VC). However, drawings and images are the confirmation that people communicate not only with words. Interpersonal communication also includes implicit messages expressed through non-verbal signs. Accordingly, nonverbal communication (NVC) includes apparent behaviours produced by facial expressions, tone of voice, eye contact, posture, clothing and other body gestures. Furthermore, NVC is not universal because of the cultural context: emotions and feelings such as happiness, sadness or fear are similar throughout the world; conversely, in order to interpret another culture’s code system, it is necessary to study their cultural roots. Therefore, many elements of non-verbal communication are different from a country to another. NVC is also diffused in the animals. Using gestures or particular behaviors animals can communicate in a perfect way.